Guess who’s here? 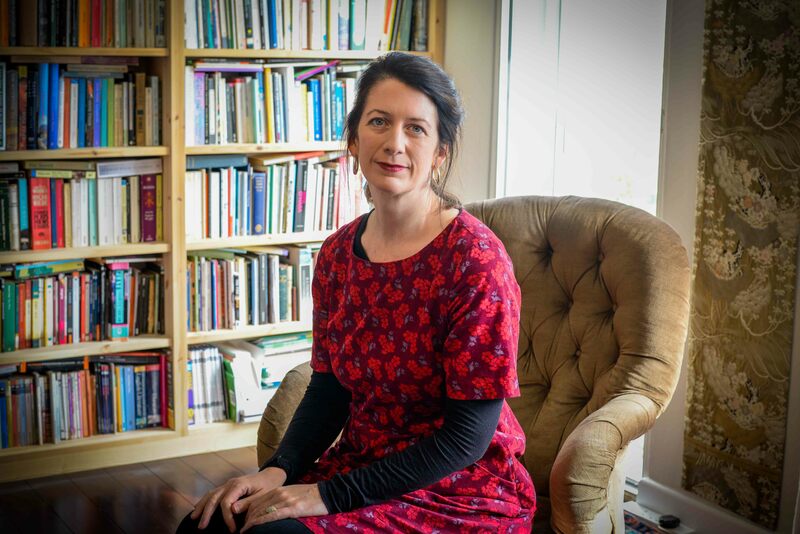 None other than the award winning author, Kate Scott. Regular readers may remember Kate for comedy-adventure series for 8+, Spies in Disguise. The first book in the series, Spies in Disguise: Boy in Tights won a Lancashire Fantastic Book Award (2015). 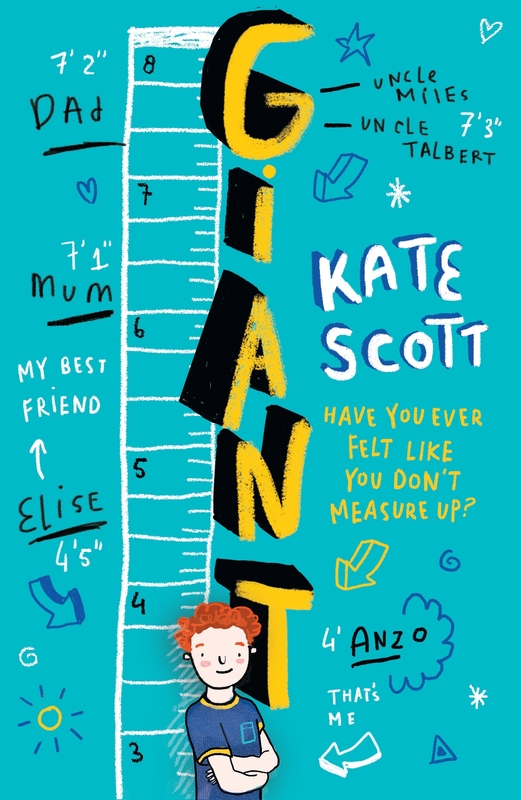 Kate’s latest book, Giant, is out now and Kate’s here to tell us about it. In the opening of my new book, Giant, Anzo is remarkably small for his age. Although he’s in Year 6 of primary school, he’s often taken to be one of the Reception children – a ‘Tadpole’ – (in the book, the school’s classes are divided by the stages of a frog’s life cycle…). Because of this, and because the rest of his family are not just unusually tall, but loud, outgoing types – a clear contrast to his own much quieter personality – Anzo is miserable. Despite the loyal friendship of a classmate, Elise, Anzo feels likes a misfit – and alone. Then he begins to grow… The story follows Anzo as he goes from being too small to too tall and his realisation that the secret to happiness and acceptance lies within himself, not in his height. Although the book has plenty of comic moments, it has also been called ‘poignant’ and I think that this might be because it’s the first book where I’ve felt a personal connection to the main character. When I started secondary school, I was tall for my age. I wasn’t exceptionally tall, but the friends I made were all petite and pretty (and therefore ‘perfect’) and next to them I felt gangly and oversized. Not only that, but while I loved my friends, I often felt as if I didn’t fit in at school. It was as if everyone else knew the rules to a game I couldn’t figure out at all. It took a long time before I realised I wasn’t the only one to feel this way. It took even longer before I felt truly comfortable in my own skin and happy with who I was, inside and out. All this came back to me as I wrote Anzo’s story and it struck me that while I was supposedly writing the book for an audience of eight to twelve year olds, there was someone else I was writing it for – myself. Anzo isn’t me but some of his emotions are, and perhaps that’s why I feel more connected to this book than my previous ones. I wrote a book I hope that people will enjoy and engage with; I wrote a book which I hope may even help some of them get through some difficult times and emotions; I wrote a book which I hope will make people laugh and think and, like R.G. Palacio’s fabulous book, Wonder, help them to choose ‘kind’. But I also wrote a book I think might have helped the child I used to be. If you’d like to enter our free competition to win a copy of Giant, go to the competitions page NOW. Tags: Giant, identity, tiny tadpole. Bookmark the permalink.